Due to be released in early July, the CMS will likely propose a 50 percent cut to the technical component of mammography reimbursement in the 2018 Medicare Physician Fee Schedule (MPFS) proposed rule. According to industry experts, cutting down mammography reimbursements could potentially drive down access to a mammography. As a result, imaging organizations are raising questions about outdated reimbursement formulas in an effort to prevent the cuts from happening. 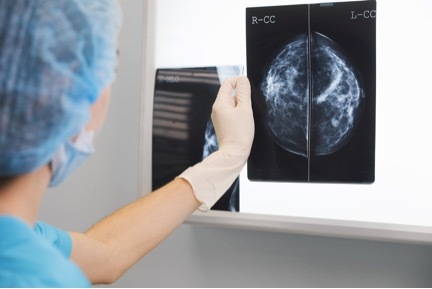 The Relative Value Scale Update Committee recommended splitting the technical component relative value units (RVUs) for mammography studies in the 2017 proposed MPFS rule, but it was removed in the final rule. The CMS quoted that there was a need for further review. However, industry experts expect the cutback to make it into at least the proposed rule for 2018. According to Bob Still, executive director of the Radiology Business Management Association (RBMA), if the cut makes it through the comment stage, it could drive down access to mammography especially at small providers. Small providers may pull away from some of their site offerings for mammography, which could have a damaging impact on mammography services. The proposed cuts may even stop investments, scaring practices that are thinking of adding an imaging center or upgrading their current equipment. Fortunately, RBMA and other imaging advocates are on the case. Still clarified “We’re aligned with other industry organizations and we’ve worked closely with the College of Radiology.” The RBMA and other leading industry organizations have been submitting data to the CMS for years, because reimbursements are driven by formulas – this formula they believe is using old data. In fact, the CMS may be relying on data from 2008, which is considered a lifetime ago in the fast-paced world of imaging technology. According to a brief from the Office of the National Coordinator for Health Information Technology, only nine percent of non-federal hospitals had fully implemented electronic medical records (EMR) in 2008. However, today, almost 97 percent of hospitals have implemented certified EMRs, at an average outlay between $15,000 and $75,000 per care provider. According to Still, you don’t have to go too far to look at all the new costs we have today to recognize that some of the information technology related to image storage may not be up to date in those formulas. Moving forward, RMBA alongside other industry organizations are working to make sure CMS has the most up to date data, so the formulas will produce the correct reimbursements. The 2018 MPFS proposed rule is expected in early July and the final rule is generally issued around the beginning of November. With the 2018 MPFS proposed rule imminent, radiologists should use this time to go back and review both direct and indirect costs and other expenses related to mammography programs. If the proposed rule is issued by the CMS, it’s essential to have those numbers on hand to drive the point home that the data is out of date. If you’re in the orthopedic or radiology industry, we’ve got you covered at HIS. We are strongly committed to providing you with all the latest healthcare news and industry updates to keep your practice up-to-date. You can stay up-to-date by reading our blog and signing up for our e-Newsletter! If you’re interested in learning more about how HIS can help your practice, contact us today for more information on our services.